When Americans fire up their grills for summertime meals, the turkey will be seared, roasted, braised, and smoked like never before – featuring everything from kabobs, sausages, and tenderloins to cutlets and turkey burgers. 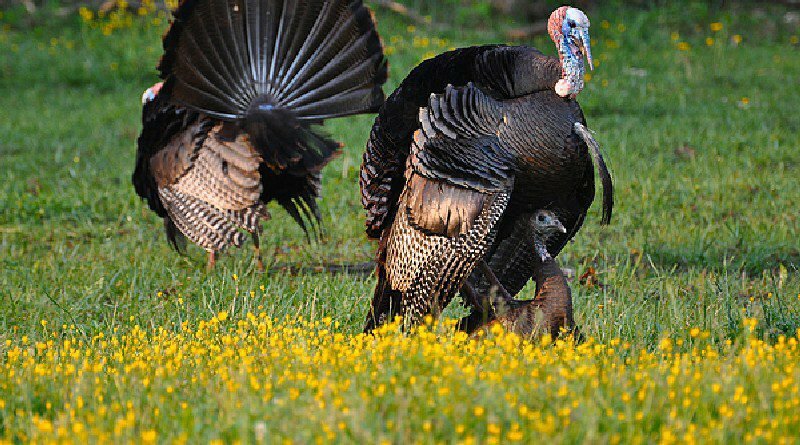 During June, the National Turkey Federation (NTF) pre-heats the grill for the turkey to celebrate the 28th annual June is Turkey Lovers’ Month® and also the 2nd annual National Turkey Lovers’ Day, which coincides with Father’s Day, Sunday, June 18th. For all those grill masters preparing a wide variety of turkey cuts on Father’s Day, NTF offers a Turkey Grilling Tip Sheet as well as an array of inspirational and on-trend grilling recipes from ServeTurkey.org, and @ServeTurkey on Twitter and Facebook. Often, home cooking for the family is inspired from discoveries when dining out. Americans enjoy turkey on Thanksgiving, as well as year-round. Signaling growing interest, 39% of consumers are more likely now than two years ago to enjoy turkey in addition to the holiday dinner celebrations, according to Technomic’s 2017 Center of the Plate: Poultry Consumer Trend Report. The report also notes that 38% of consumers voiced their preference in asking restaurants to offer turkey as a protein choice in a wider variety of entrees. The National Turkey Federation is the national advocate raising awareness for its members’ products while strengthening their ability to profitably and safely deliver wholesome, high-quality, and nutritious food to consumers worldwide.